Completion expected July 2019. 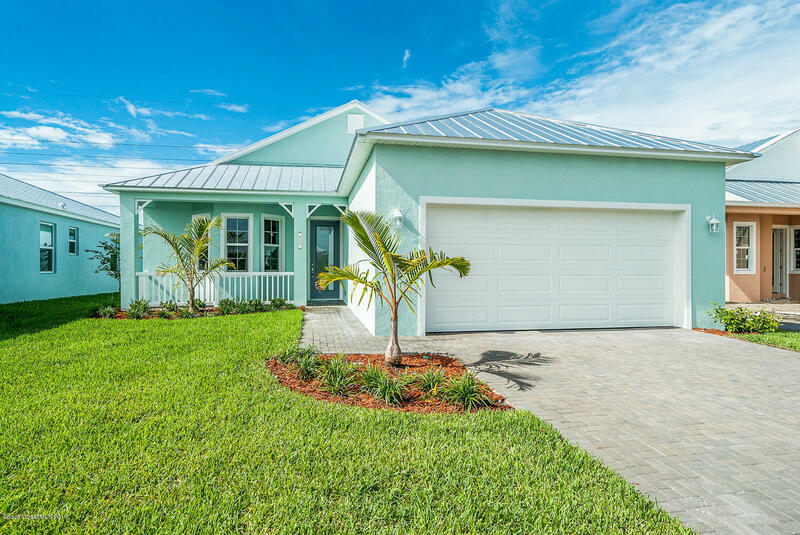 3 bedroom/2 bath/2 car garage Tavernier model. Sought after 55+ gated Community of ALAMANDA KEY. Key West Inspired & Coastal Living at it's VERY BEST. This home features upgraded tile in all living areas, IMPACT doors/windows, crown molding in living areas, custom kitchen backsplash, painted cabinetry in kitchen with granite counter tops, Whirlpool energy star stainless steel appliances, 8' interior doors throughout, high ceilings, comfort height master bath vanity, comfort height toilets, plus so much more! Gated Community with HOA...Includes Community Club House, Exercise / Fitness Area, Library, Pool, Hot Tub, Barbecue Area, Tennis Courts, 2 Community Lakes with Walking Paths...Monthly HOA fee also includes full lawn & irrigation maintenance.